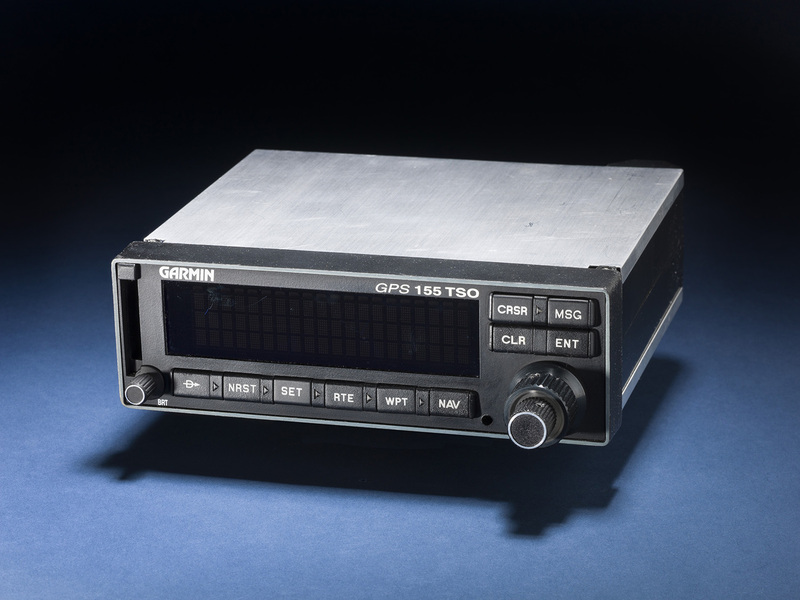 On February 16, 1994, a significant milestone in American aviation occurred when the Federal Aviation Administration certified the first GPS unit for use in IFR (Instrument Flight Rules) operations. Twenty years later, GPS has become the dominant form of en route navigation as well as the primary technology for guiding aircraft in low-visibility approaches to landing. The unit first certified twenty years ago was the Garmin GPS 155. Today, the prototype unit used in the certification trials is a featured artifact of the Time and Navigationexhibition. Most of us are familiar with how satellite navigation has made it easier to find our way in daily life, so it should be no surprise that pilots have benefitted more than most from the satellite navigation revolution. What may be surprising to many is the way it is changing aviation. Even though it is often in plain sight, the traditional electronic infrastructure of aviation is invisible to most people, who have no awareness of what they are seeing. However, VOR stations, glideslope shacks, localizer antennas, and radar arrays are obvious to those who know where to look. These systems are expensive to construct and difficult to maintain. They are also considerably less accurate than GPS and are range limited. While GPS has its own complex infrastructure, local operations require little in the way of additional equipment to enable very precise approach systems. By shifting from these 1950s era systems to GPS, many more airports are now open to low-visibility landings while airports with existing “blind landing” approaches now have more options that allow for better low-visibility guidance. By last fall, the GPS analog to the venerable ILS (Instrument Landing System), known as LPV (Localizer Performance with Vertical guidance), outnumbered the traditional precision approach system by a factor of two-to-one. Three thousand, three hundred forty one of these low-weather approaches were available at 1,650 airports. This means that towns in remote Alaska that depend on air travel for basic necessities are no longer separated from civilization by extended periods of poor weather. Business aircraft can reach many smaller airfields that were previously off limits in low-visibility conditions. Aviators also have access to a higher level of GPS performance than the typical dashboard GPS installation made possible through WAAS (Wide Area Augmentation System). Most importantly, GPS is allowing greatly improved safety and efficiency in all aspects of air travel. Pilots are not simply receiving better navigational guidance. Under the old system of ground-based radio beacons and radar surveillance, navigation and air traffic control services varied widely by region. Air traffic was routed over networks of “airways” that meandered from one beacon or electronic “fix” to another. Air traffic control depended on radar to see the aircraft, but radar coverage has had many gaps and limitations. GPS is now allowing the untangling of this network of airway bottlenecks and filling in the gaps of radar coverage with a consistently accurate and precise capability. Not only do pilots and controllers now have better positioning, GPS also makes it much easier to share this data. 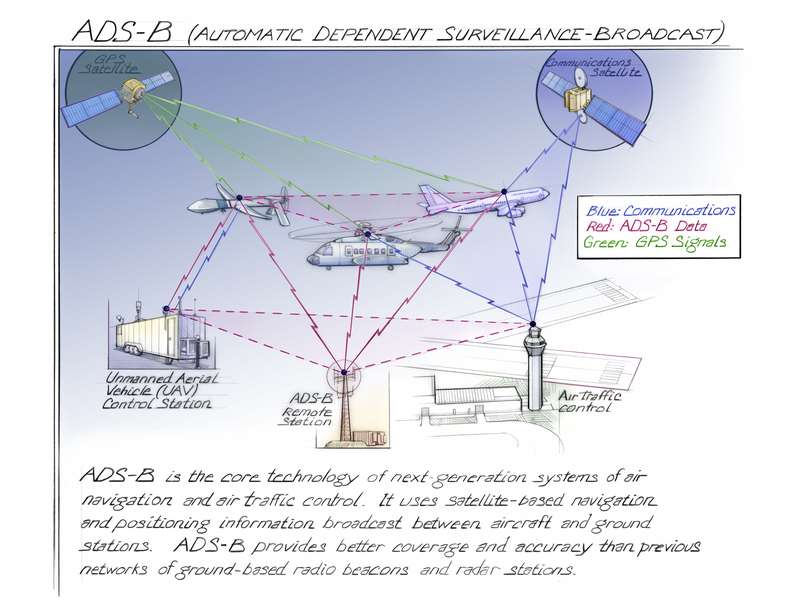 The mechanism for sharing is something known as ADS-B (Automatic Dependent Surveillance – Broadcast). This bewildering acronym of a system is a transponder that can relay, and, in many cases, receive positioning and other critical flight data. With the old infrastructure (known as the “Common System”), data about aircraft movements was largely restricted to the individual controllers in communication with an aircraft. Pilots had to rely on the controllers for information about other air traffic. This inability to share information broadly could, and did, compromise safety in certain situations. Today, pilots, controllers, and virtually anyone else who wants to know, are far better informed. If you want to see how this plays out in real time, a number of third party vendors provide apps and other interfaces to see ADS-B data around the world. A decade ago it was science fiction to imagine that anyone could see exactly what a specific airliner was doing almost at that instant on the other side of the world (see it for yourself here). The Federal Aviation Administration calls the transition from ground-based to satellite-based navigation and control services “NextGen.” Other benefits arising from the revolution launched by the Garmin GPS 155 include lower environmental impacts, improved traffic flow at busy airports, and accommodation of weather diversions in dense air traffic environments. Also, the current demand for integration of unmanned aircraft into the national airspace systems is only technically possible with the flexibility of a system like NextGen. One area where the advantages of GPS might not be obvious is the use of something called RNP – Required Navigation Performance. 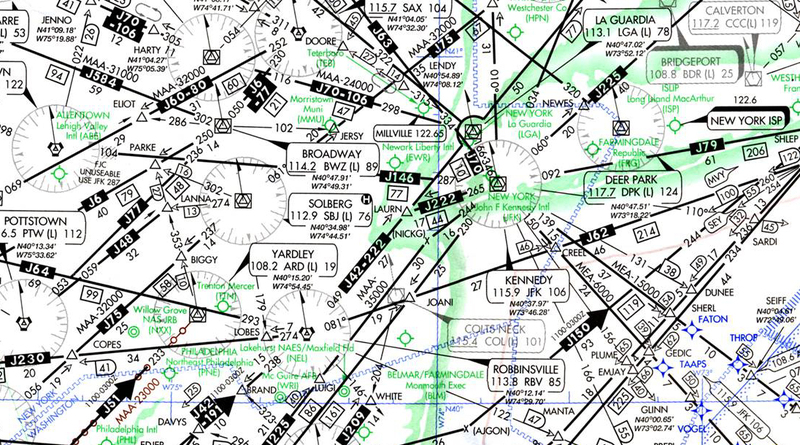 This opaque acronym describes the ability to fly flight paths that are far more precise, which in turn allows much more efficient approach procedures into busy airports, reducing time in the air and air traffic delays. In simple terms, instrument approach paths previously required turns and other maneuvers guided by the intersection of radio beams. This created angles which, because airplanes cannot turn on a dime, required either an overshoot or undershoot. Air traffic controllers had to allow for both scenarios and accommodated them by blocking out large sections of airspace. GPS combined with modern flight management systems now allows aircraft to precise curved paths and eliminates much of the previous ambiguity. 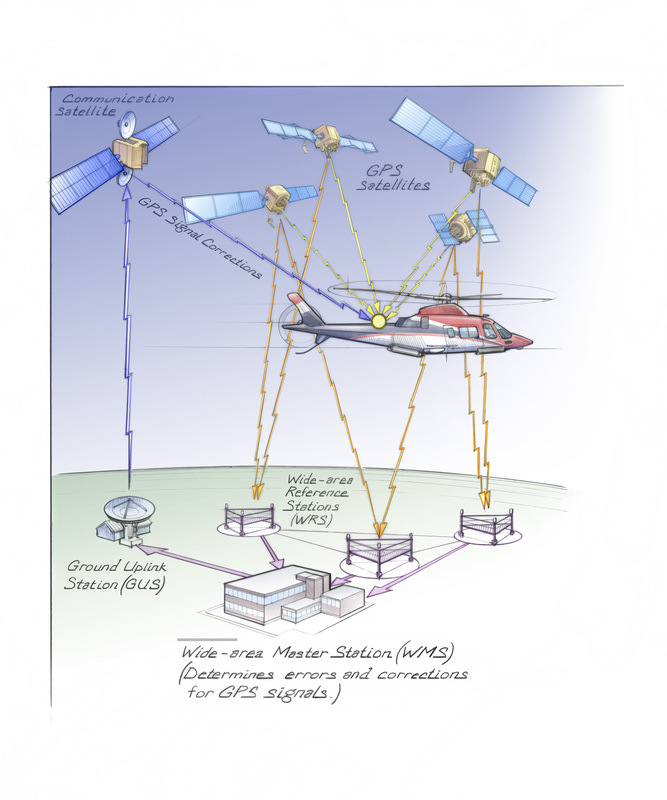 If this alphabet soup of acronyms is confusing, at least know that GPS is changing the way we fly – to make it more accessible, more affordable, more efficient, and safer. Satellites and ground stations determine and broadcast corrections that enhance the navigational accuracy of the GPS system. 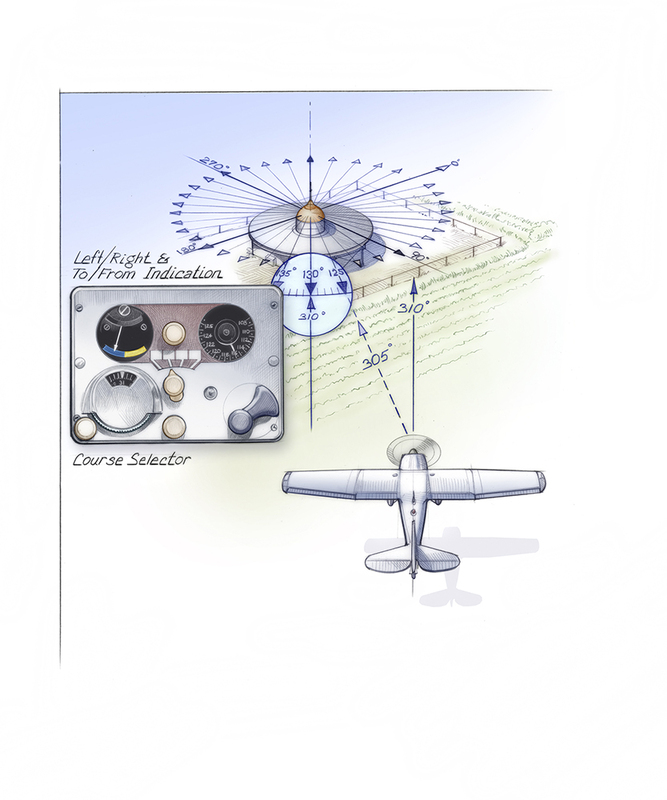 The certification set for the first GPS receiver certified for use under Instrument Flight Rules (IFR). VOR-based airways have been reliable, but they create inefficiencies and bottlenecks that GPS-based systems are better positioned to resolve.